While the Olympics have been over and done with, I just stumbled across this draft I had started and I just can't let it go to waste. 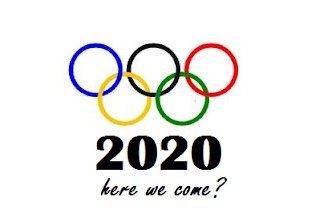 It has been an interesting Olympics this year especially when it comes to the swimming and gymnastics. In previous years we would do the American thing and watch the nightly recaps cheering on the American's and their victories. We were watching history happen. It was great. But, we were pretty removed from the action. This year though, we were watching from a whole new perspective as we now have our own swimmer and gymnast in the house. As I watch, I can almost imagine what those athletes parents are feeling. I can hear their thoughts...finally all that money I paid is paying off! I watch the strokes and the routines through new glasses. I sit at the edge of my seat as swimmers dive off the blocks and reach to cut off that last hundredth of a second that separates first and second. I hold my breath as the hands come off the bars and reach for it again and as that big breath is taken before the run across the beam for the final dismount. My own kid swims those strokes and does those routines (albeit at a slower pace and lower level), but we go to the pool and sit at the gym nevertheless. Of course while watching the events, Dave and I joked with our kiddos about them being in the Olympics one day. Not that we aren't completely supportive but Olympic dreams aren't really on our horizon. We aren't those parents. We are realistic. However, the other night we were all snuggled on the couch for our evening event watching when Zoe said she was worried. I asked what she was worried about and in a very concerned voice she said, "But mom what if Dylan has a swimming race at the same time I have a gymnastics routine when we are in the Olympics in a few years. We won't be able to cheer for each other. Who will you and daddy watch"? After a quick chuckle, I assured her that we would definitely find a way to work it out if the situation presented itself. I also said that there was absolutely no reason to start worrying now about something that was so far down the road. She seemed content with that answer and went right back to watching the Olympics. 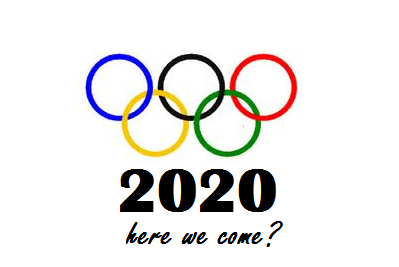 Maybe one day we will be watching those Olympics from the sidelines after all!